Burn Amarr is over and the accounting is in. You can find final tallies and conclusions at TMC and EN24. As happens in all such events, everybody picks their point of view and spins the data to prove somebody won and somebody lost. Everybody claimed they won during the first Burn Jita, why should this be any different? I think the main difference is that the shock of the first event has passed. The first Burn Jita was covered by the international press. It was new and different. My video from the undock on the first night has more than 140,000 views, putting it about 138,500 views ahead of my next most popular video. But now, in the wake of three Burn Jita events, Burn Amarr wasn’t anything new. There was the roleplay aspect of it, which got CVA up out of Providence to participate in the defense of the Empress Jamyl Sarum. But taking the circus of destruction out of the big city and letting it play out in a second tier trade hub… Amarr at its peak is about the same as Jita on a very slow day… on top of it being the fourth year running, made for a less spectacular event. Only 360 billion… or 440 billion… ISK in freighters and industrial command ships were destroyed in and around Amarr. That is less than any of the Burn Jita events, which all exceeded 500 billion ISK. 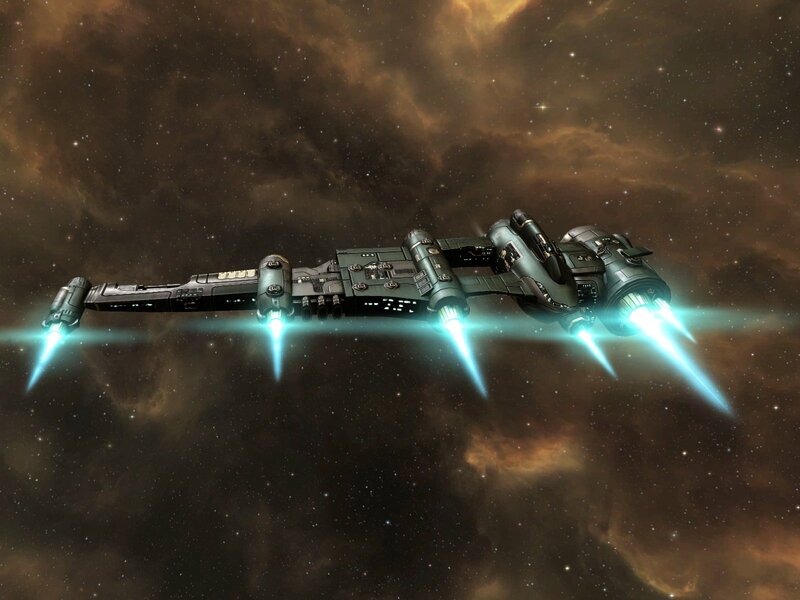 Still, exchanging 32 billion is losses (over 11,000 individual ships, mostly in the form of the Gallente Catalyst destroyer, the backbone of the gank fleets) for even 360 billion ISK in kills is hard to paint as a “complete failure” as some have claimed. So content was created, forces on both sides of the even had their moments, but there won’t be any headlines in the mainstream press about the alleged real world value of this virtual spaceship destruction. My own participation was pretty small. I decided that this year I was going to fly in the gank fleet a few times to see what it was like. My security status dropped, I got on a few kills, but I saw some pretty amazing sites. And I got a few screen shots to share. This entry was posted in entertainment, EVE Online and tagged Burn Amarr on June 26, 2015 by Wilhelm Arcturus.